Our local Cleburne CPA firm specializes in bookkeeping, payroll, business tax, and entity selection services tailored to meet the specific needs of one-owner and husband-and-wife owned businesses in Cleburne, TX and the surrounding area. Your business structure is the foundation for our tax planning, so we begin your free consultation by helping you determine if your business should incorporate in Texas. Our goal is to make work easier for you by bringing you solutions that are efficient, productive, and focused on your success. At Lehrmann, we're moving forward at all times with your best interest in mind. Continually providing our clients best in-class service is what sets us apart from our competitors. Engage our Cleburne Certified Public Accounting firm to save on your business taxes, and we will be your team of trusted advisers who provide you with unparalleled client support and tax saving strategies. We’ve grown our business by helping our clients grow theirs. We fully understand the difficulties (and the joys) of running a business and take deep satisfaction in helping local business owners keep their financial houses in order. Over the years we have worked with many Cleburne area businesses and individuals. Our commitment to professionalism, courtesy and excellence extends from the clients we see every day to the clients we see once a year. We believe it is this commitment that has made us a successful company, with clients who value us as much as we value them. If you are searching for the best CPA firm in the Cleburne, TX area, or if you have further questions, we invite you to read our client reviews, and call our office at 817-760-0645; ask to speak with Brandon Lehrmann about our entity selection, bookkeeping, payroll and tax services for businesses and individuals. 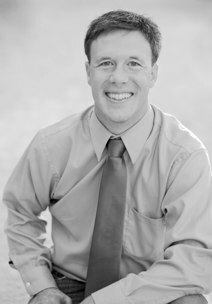 M. Brandon Lehrmann, CPA as well as being a Certified Public Accountant, is a highly certified QuickBooks ProAdvisor. Brandon received his Master of Accountancy from Abilene Christian University. He has public accounting experience in the areas of tax, audit, and write-up, and taught Financial and Managerial Accounting classes at the postgraduate level. Brandon has given support to the Chief Financial Officer (CFO) of a government entity, and has held the position of CFO for a number of businesses. In addition to his experiences in the field of Accounting, Brandon has co-managed one quarter million dollars in stocks traded on behalf of Abilene Christian University, and has worked as an officer on the boards of many local charitable and social organizations.